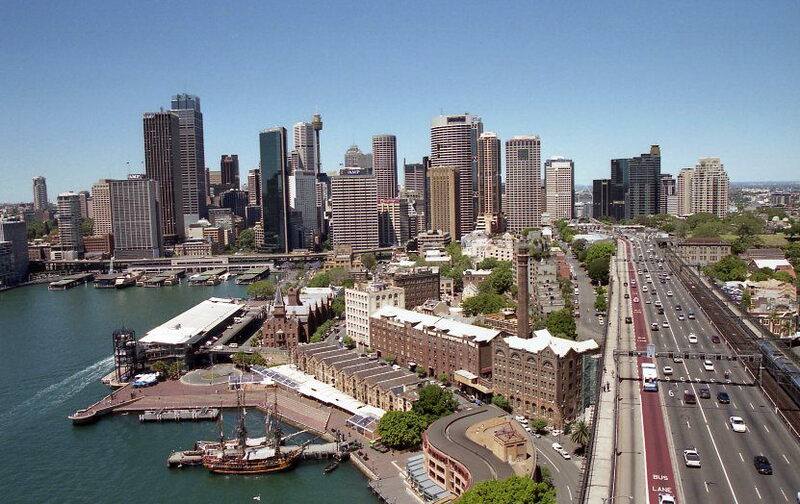 Sydney seen from the Harbour Bridge visitors platform. The entrance to this visitors platform is free and you are allowed to take your bagpack and your camera with you. The view here should be not much worse than from the absolute top of the bridge. This so called bridge climbing costs you 130 Au$ and you are not allowed to take your camera or any other personal belongings with you.